I had the pleasure of studying Ansel Adams Zone System in a 2-Year College Course during my photography classes and found it to simply amazing and those skills I still apply to my color and digital photography. Every photographer who wishes to pursue a professional career in this medium should study the Zone System and understand how to apply it to their craft. The Zone System provides photographers with a systematic method of precisely defining the relationship between the way they visualize the photographic subject and the final results. Although it originated with black-and-white sheet film, the Zone System is also applicable to roll film, both black-and-white and color, negative and reversal, and to digital photography . . .
Then go learn more ... you owe it to your photography career! Lighting can make or break a photograph, after all a photograph IS a collection of light. Harsh lighting causes washed out detail in the highlights (whites) and lens flare. Low lighting can cause color shifts, muddy blacks without detail, color noise and blurry edges due to camera shake. On camera flash often causes the a flattening ... Read Full Article! Okay, last week in Part 1 of this mini-series, I provided tools and tutorials to better understand the importance of exposing Highlights and Shadows; this week is Part 2: The Color of Light. When studying photography, another critical aspect is light temperature. 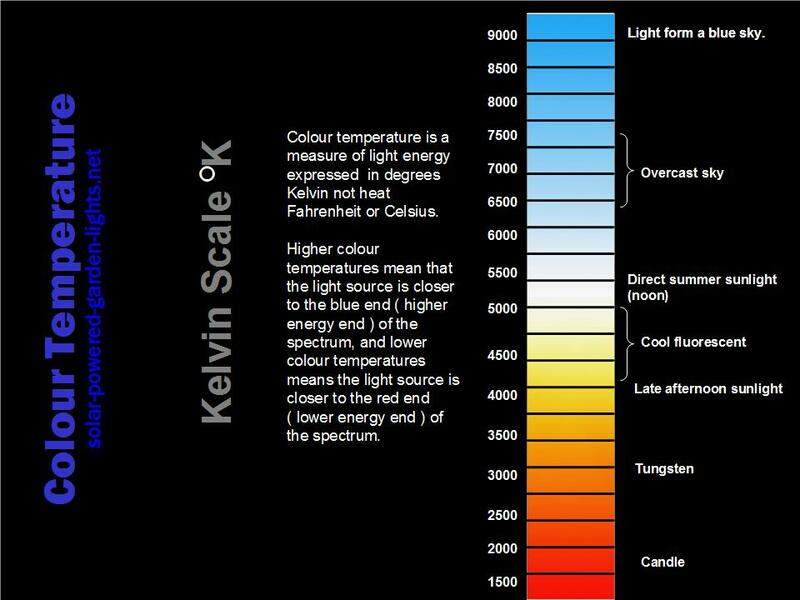 The Kelvin Scale is how the color of light is measured and you’ll notice that each light source is associated with a color of which the camera picks up in the form of a color cast on the finished image. Photography is considered a Realist Medium in the arts, and realism is the intent to achieve a truthful representation of reality in its historical context. This is the reason why the color of light plays such an important role in photography. As a photographer, light has always fascinated me. It can be the difference between an award-winning photograph and a snap-shot. Shadows and highlights are just as intriguing and critical when a painter creates them as they are to the photographer who tries to capture them. They create depth and mood, without a nice balance the photograph feels flat, muddy, and in general is unprofessional and unappealing. Why? Because the world of light and shadows is the world we live in, so why would we consider a photograph eye-catching if it is dull in comparison to what we see every day? For your July 4th Holiday, I’m going to keep it simple and give you links to 45 Beautiful Examples of time-exposure Photography and some quick tips for taking time exposures if anyone out there has never tried it and feels like playing! This time of year, the sun is a powerful light and with the long hot days, we often find ourselves out with the family cooling off at the pool, lake or beach. There are so many fun photographs to be had that we shoot, shoot, shoot only to come home with great compositions but blown out highlights and often ruined photographs. What do I mean by "blown highlights"? When you take a photograph in the bright sun, you often end up with pure white areas in your photograph that have lost all detail, loss that even the best software can not recover, because it simply isn't there. This will occur most frequently when light is reflected back to the lens from a light toned or reflective surface, such as water, sand, sky, concrete and often skin tones. Though there is MUCH to learn about exposure and how to understand when to make adjustments, my intention is only to touch the surface of this discussion and provide a few pointers to make those summer pictures look better in your family album. 1) A common photographic term is Lens Flare. Simply put, these are the circles, lines and elements that sometimes cause a "UFO" effect which can wash out areas within your photograph. Though if controlled and intentional, these effects can be dramatic and very appealing, most often they are not. There is a very scientific reason this happens and you can learn about that on your own. Two 'simple' ways to reduce or avoid lens flare is to use a Lens Hood which will help keep light from bouncing off the optical elements in your lens and secondly, whenever possible block the light from hitting your lens by positioning yourself so that a tree branch, person or other external element stops the light from reaching your lens but not your subject. 2) Now, when it comes to exposure there is no 'camera setting' that works for everyone, because all cameras will vary a bit with how they 'see' light and shadow. So it's up to you to become very familiar with how your camera's exposure settings respond to bright light situations before you can begin to compensate and create consistently better exposures. If you are using a completely automatic point and shoot that has no ability to manually change the exposure you can run a simple test by shooting in a very bright reflective situation. Take a photograph in each of the 'Auto' settings your camera offers. Record which photo used which setting and compare them (on your computer not out in the sunlight). You may find that a 'landscape' setting for example has better overall exposure than a 'portrait' setting. Find out what your camera does best. Now, for those of us using a Digital SLR and/or a digital camera with more control, the process is similar, though instead of changing the 'program' modes, we are going to use the Exposure Compensation tool on your camera. First, get your manual out and find out where the control is on your camera and how to set it up so that you have quick access to this feature. Then find the same bright light situation as mentioned above, take the first image with the camera set in the mode you normally shoot. Take a second image with the exposure compensation adjusted for -1 (minus 1 f/stop). Repeat this for -2 and -3 (if you're camera is sophisticated enough to offer ½ stops, then use -1/2, -1, -1 and ½ and -2. ½-stops will give you better control if your camera offers that feature). Then look closely at how the highlights are rendered in your computer and look for the images that show the most detail in the highlights without losing the detail in the shadows. That exposure compensation number is now what you should set your camera for when heading out on a bright day with reflective surfaces. 3) True reflective surfaces, such as water lit by sunlight can be particularly difficult if what you are truly photographing is not the water, but someone or something in the water. A simple solution for these situations is adding a Polarizing Filter to your lens. You should research your camera's manual to determine whether a Linear or Circular Polarizing Filter is best suited for your lens. These filters will do two primary things for you. 1) They will remove/reduce reflections so that you may photograph 'beyond' the reflected surface such as; photographing a child in a pool and seeing the child under the surface of the water, or shooting through a window to capture a subject on the other side. Now keep in mind you don't want to remove all of the light reflected off the water or the window, because then the photograph would not seem 'real', but you do need to be able to see beyond the bright white surface a pool can have when lit directly by the summer sun. 2) A polarizing filter can remove haze from the sky and darken the blue making the clouds pop and can make colors appear saturated. The 'downside' of a polarizing filter can be that you will lose 2-f/stops of light so you MUST adjust for this and know that unless you are in a brightly lit situation, this filter will do more damage than good from an exposure standpoint. Another thing to watch out for is that using a Polarizing Filter with a wide-angle lens can cause an unwanted vignette effect, so you need to watch for that. It is wise to read up on this filter before choosing one for your lens, but it is a tool that all professional photographers use and a must-have for your camera bag! Before I leave you to your bright light shooting this month, let me also say that if you choose to invest in a lens hood or polarizing filter, if well taken care of, they will last the lifetime of your lens, so it's a worthy investment. So Good Bye Blown Highlights and Good Shooting!